MANILA, Philippines - Following the signing of the Joint Memorandum Circular (JMC) by concerned government agencies on Tuesday, August 30, the processing time for new business registrations was cut down to 1 to 2 days. Government agencies such as the Department of Trade and Industry (DTI), Department of Interior and Local Government (DILG), Department of Information and Communication Technology (DICT), and the National Competitiveness Council (NCC) have signed the agreement to reduce the time it takes to process business permit and licenses of all cities and municipalities in the country. In a press briefing on Tuesday, DTI Secretary Ramon Lopez said they don’t want to make it difficult for entrepreneurs who take weeks and months to start a business. Under the streamlined licensing system, entrepreneurs just need to present the requirements to the local government. The local government will take care of all the necessary clearances and payments including the barangay clearance and safety certificate from the Bureau of Fire Protection (BFP). 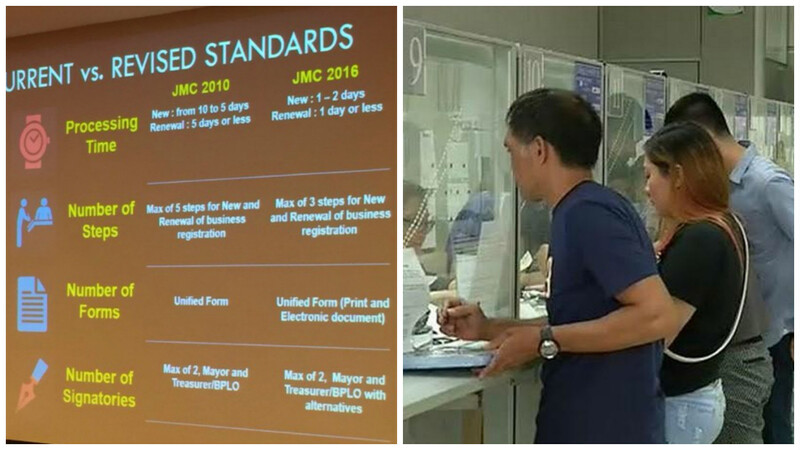 The new system will also require local government units (LGUs) to use a unified form, both in print and electronic form, with only two signatories with alternate approving signatories. There will be no added cost for this. In addition, the said circular recommended LGUs to automate and computerize all business transactions for faster processing. In a report published by the World Bank-International Finance Corp., the Philippines ranked 103rd in the Ease of Doing Business, Moreover, the country ranked 165th and performed poorly in the “Starting a Business” indicator.